USED 2007 Weekend Warrior 4005 5th Wheel Toy hauler with Generator! Used 2007 Weekend Warrior 4005 5th Wheel Toy hauler! Great financing terms available OAC! We are open from 8am -- 5pm M-F, 9-4 on Saturday and other times by appointment. ***Due to Craigslist.com’s fees associated with posting ads we will only be posting a portion of our inventory on Craigslist. For a full look at our inventory and for more pictures of this unit please visit Rowleywhite.com!!! 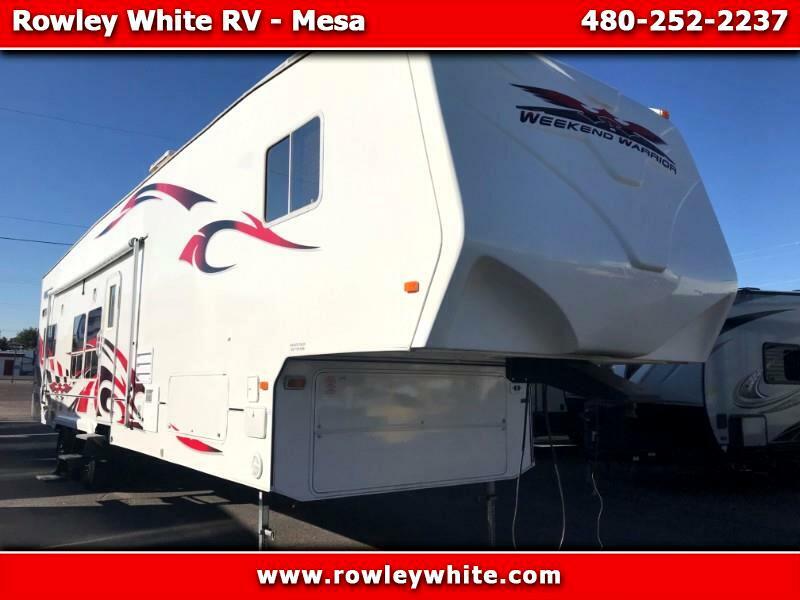 Visit Rowley White RV online at www.rowleywhite.com to see more pictures of this unit or call us at 480-252-2237. Message: Thought you might be interested in this 2007 Weekend Warrior CL4005.